It’s that time of year again. You can smell the cinnamon and nutmeg in the air. Is there anything better than the creamy spiced pumpkin flavor, crisp crust, and cool dollops of whipped cream (or ice cream) that graces your Thanksgiving dessert spread? 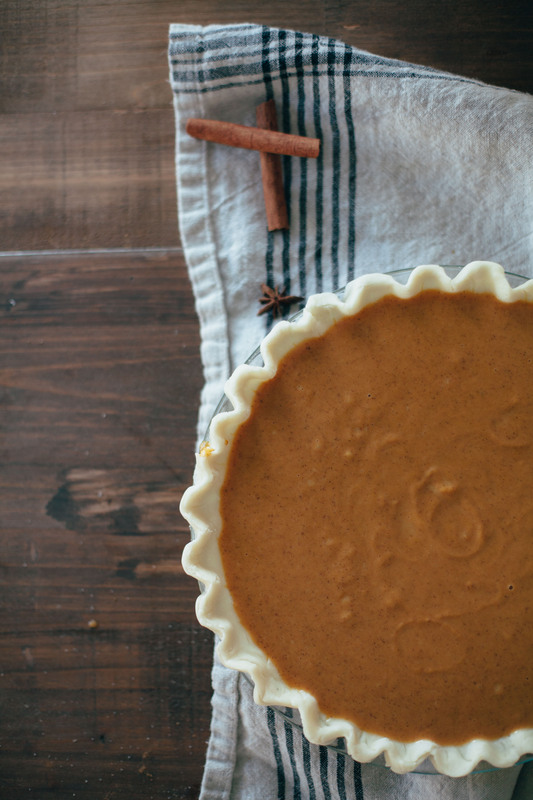 Here is one of Relish Decor’s favorite pumpkin pie recipes. In the mood for fresh and fluffy whipped cream? Welcome Cookout’s Creazy into your life. Stop by Relish Decor today to pick up one of these little delights. With the holidays just around the corner allow Creazy to make your desserts that much better. Jane Austen once said, “Good apple pies are a considerable part of our domestic happiness.” It’s hard to argue the sentiment. 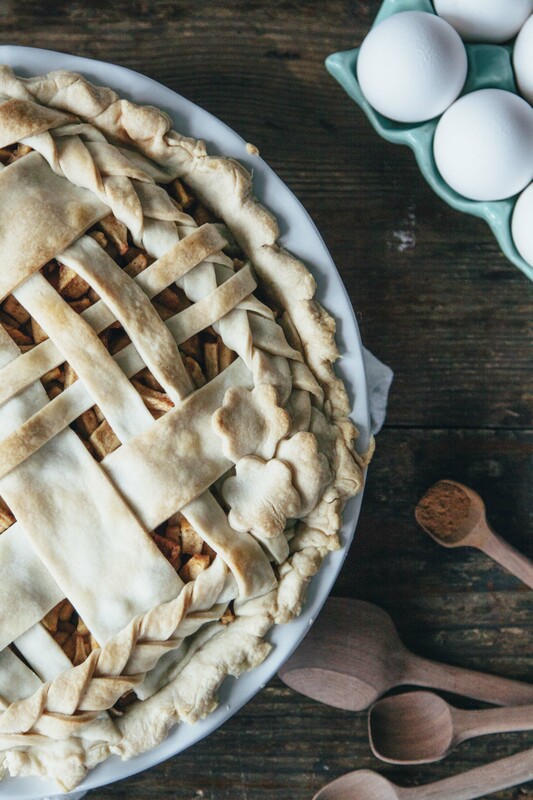 There are few things that feel more autumnal than that first delicious apple pie. 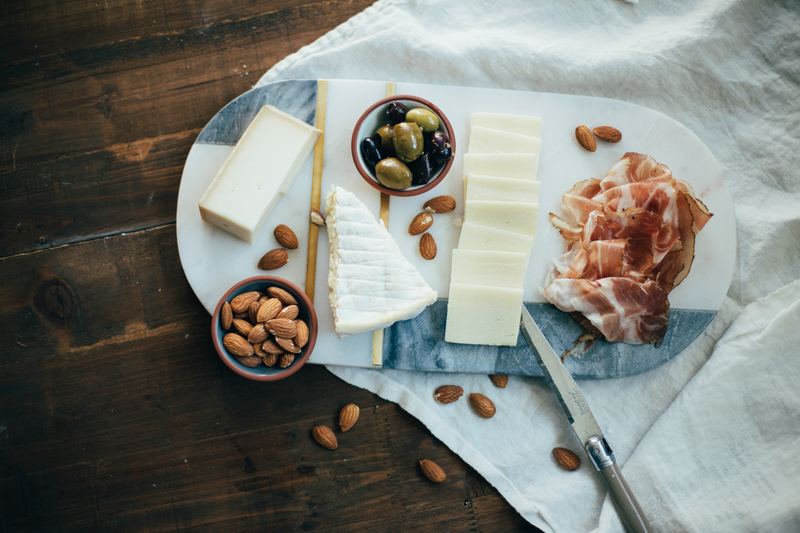 Relish Decor invites you to try one of our favorite cozy and easy recipes. Have you ever visited New Orleans? If so, how about during Mardi Gras? I agree it is an awesome experience but a little crazy! You don’t have to be physically in NOLA to take part in the festivities. Host your own Fat Tuesday Mardi Gras themed party with flashy decor, king cake and of course great cajun eats! 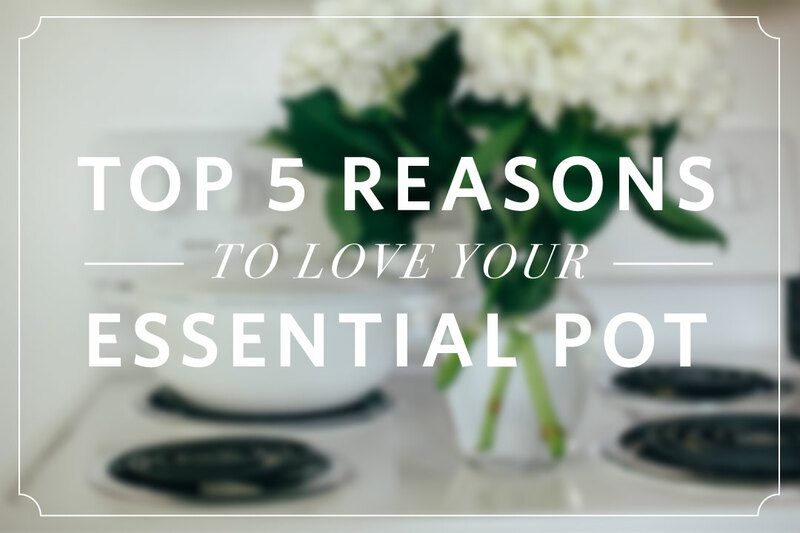 Anytime you entertain, the less mess the better; that is why I am obsessed with one dish meals. 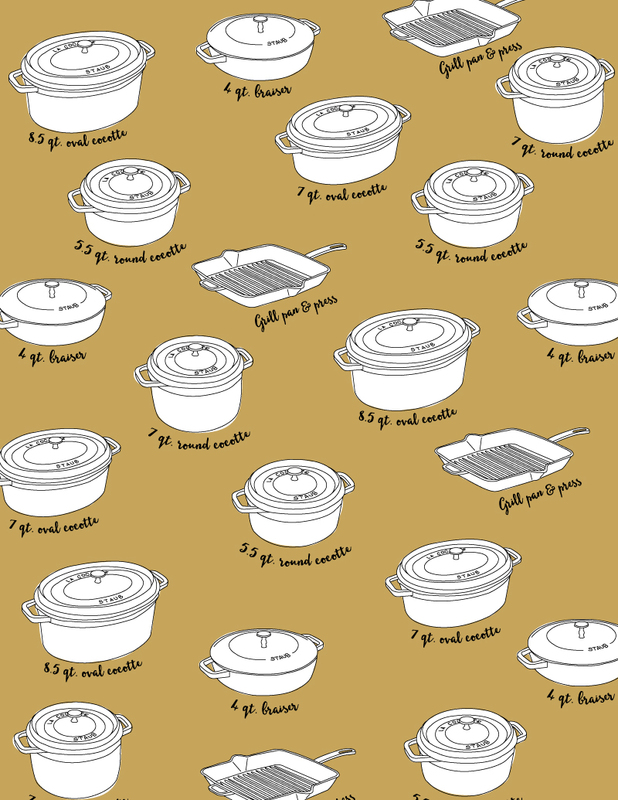 The Staub 5.5 Quart Cocotte is great for making large batches for big groups of people, all with little cleanup. The Staub dutch oven is the best piece of cookware I own. I am just in love with the cherry red color. Red isn’t your color? No worries- they come in a ton of colors, shapes, and sizes. The Staub 5.5 Quart Cocotte is great for stove stop sautéing and stewing and then finishing up in the oven. 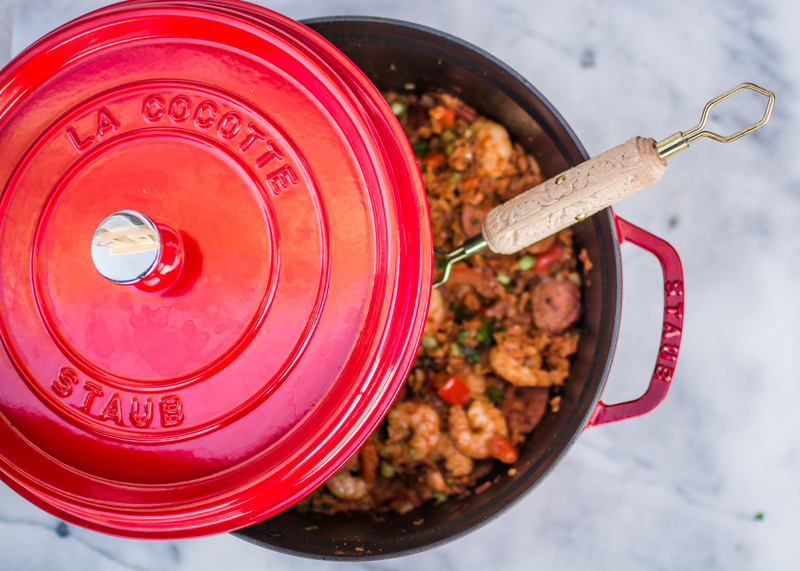 To celebrate Mardi Gras in our house, I will be making a big old Staub pot of Jambalaya. It is super easy and sure to please your entire party. Check out the simple recipe below! Our latest cast-iron obsession is with the Staub Essential Pot, a new staple of cast-iron cookware. These little beauties are also stovetop and oven safe, with enameled bottoms for safe cooking on a myriad of surfaces. Unlike the squared bottoms and flatter lids of Staub’s round cocottes, the Essential Pot features a more rounded interior and a domed lid. The shape lends itself for more even heat transference, perfect for risottos and stews, where even heating is vital. We’ve already shared some of our favorite ciders and pumpkin beers, now we’re diving into the wonderful world of autumn cocktails. Pick up a fresh set of glasses and put down the pumpkin spice latte. 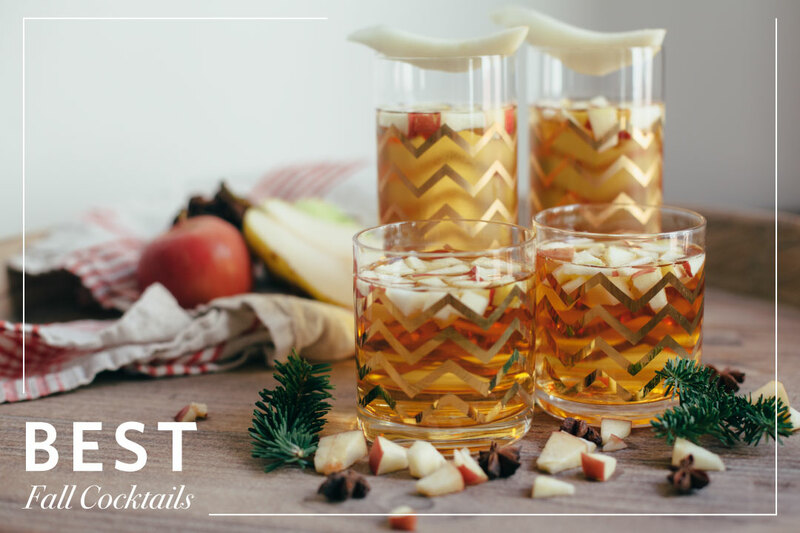 Fall is about to get a lot more fabulous with these delicious drinks!